How Long Will The TRUE M30 Last? What this treadmill lacks in programming, it makes up for in structure. And if the build is not enough to ease your mind, then maybe the culture of quality service will help. The M30 is likely to withstand years of use from a heavy jogger to light runner. Granted, an ideal environment is always a factor. If you treat your treadmill like an ugly stepchild, then you will not have as good of an experience. The M30 is True’s entry-level machine and their attempt to cater to a lower price range. 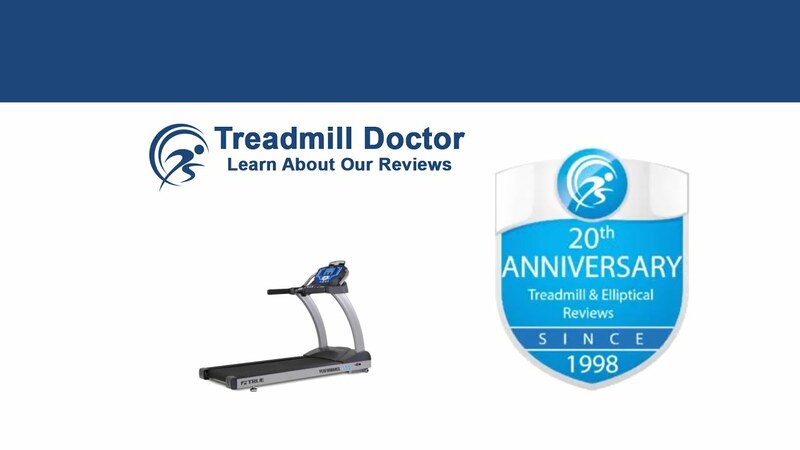 While we do not think that this treadmill is the most valuable for the price, it is one of the strongest and backed by a reputable company. Despite the lack of programming and added features, we have awarded the M30 Second Place among the $1,500 to $1,999 dollar treadmills in our 2019 Best Buy competition. Year after year there are people who purchase Patagonia jackets and other clothing articles, present party included. We spend hundreds of dollars on a fashionable hoodie. But in the end, the thirty dollar Walmart jacket will provide enough warmth for what you will actually need it for seeing as how most of us are not scaling the sides of mountains in our fancy Patagonia jackets. Likewise, the M30 gets most of its dollar value from the True name that it carries. You will not receive the same amount of programming as say a NordicTrack or a Proform, but you will receive a quality machine from a company who stands behind their products. When we say that this is a lower entry treadmill for True, it's like saying the most basic BMW or Cadillac. In the end, its worlds away from a Camry. While on a budget, True has still put a standard of quality in the M30 that outshines other treadmills. The build of this treadmill is quite durable. Though you may be tempted to rule the M30 out because it's not "space-saving" you may want to keep in mind that foldability is not necessarily considered a positive attribute. Since the M30 is not a folding treadmill, the frame is one structure without a hinge to hold it together. This solid frame does tend to hold up better, but you may notice a difference if you are used to running on folding treadmills as solid frames can be stiffer. Thus, testing out a solid frame treadmill like the M30 may be a good idea before investing money. Therefore, the integrity of the M30's structure does not depend on a hinge, but rather, on one solid, steel unit. Still, the M30 is lacking in this price range. True's entry level is up against other brands' best models; this translates to a treadmill that looks relatively bare in comparison. Thus, while the build is substantial, you may find more value in a treadmill with a few more bells and whistles at this price. With that said, it is important to keep in mind that the M30 is also backed by a good name. True has become known for good, quality service. Therefore, a five-year parts and one-year labor warranty from True tends to add a little more value. Outside of the warranty and build, the M30 also comes with heart rate grip handles, a fifteen percent incline capability, and the capacity to reach 12mph. Throughout the years, we have commented that the M30 is a testament to how much the True name costs. We have recognized that other machines in this price range might provide more value while also speaking highly of the True name and company service. Also, we have heard stories of the console shaking when the users have run on the M30 in the past; we have regarded this as an attribute of a solid frame as they can be more rigid than folding treadmills. If your only concern is getting the most from your money, then another treadmill in this price range may have more to offer. True's entry-level treadmill is not equipped with as many programs or convenient features, but it does carry the company name and, consequently, the value that comes with the name. The M30 has been built with a quality build and is backed by a sound company. We would recommend the 2019 Best Buy Second Place winner for the $1,500 to $1,999 dollar range to a heavy jogger or light runner.